Grassland Dairy Products, Inc. sent a generic, unsigned letter to 75 producers informing them that their contracts with the processor will end effective May 1, following news that Canada will no longer buy ultra-filtered milk products from the U.S. In early April, 75 dairy farmers in Wisconsin and Minnesota opened their mailboxes to find an unsigned, generic letter. The letter, sent by Grassland Dairy Products, Inc., informed recipients that on May 1, 2017, the farmers’ contract with the milk processing plant would come to an end. 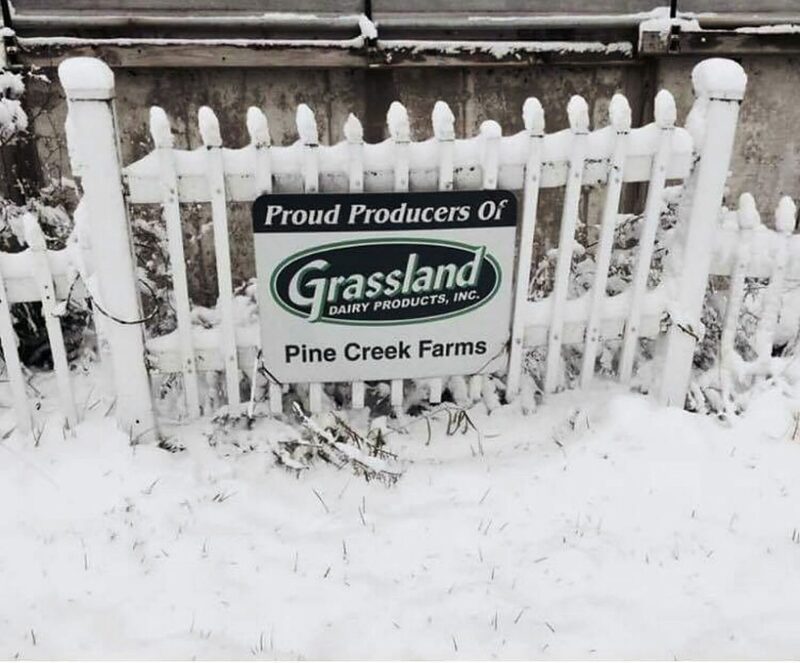 This was a devastating blow for Pine Creek Farms, which produces 10,000 pounds of milk daily and is now scrambling to find a new processor, in an already flooded market, to take their highly-perishable milk products. Pine Creek Farms, along with the 74 other dairies facing the May 1 deadline, are frantically searching for a buyer who will take the more than 1-million pounds of milk they produce daily. If they are unsuccessful, many dairies will be forced to sell the cows and shutter the doors on their family farms. This nightmare scenario is playing out at the worst time possible, said Lauber, as cow prices are down 30 to 40 percent in just the last few weeks. On April 14, the 75 dairy operations met to discuss possible solutions. Among them was Wisconsin dairy farmer Carrie Mess. Although her dairy isn’t on the list of those impacted, she’s been actively working to find buyers for these farms and has reached out to elected officials for help. In addition to Mullins, Grassland has agreed to take back a few of the farms it had previously cut. Mess has joined the impacted dairy farms in a social media campaign to urge other processors to “just take five” producers to help solve this market problem. This oversupply comes in the face of a declining 10-year demand for dairy products. Additionally, Grassland said it was forced to drop these producers after the Canadian buyer of the processor’s milk product, Ultra Filtered Milk, cut ties with the U.S. company. Many farmers are frustrated with Canada’s decision to no longer accept the powdered milk product from the U.S. and argue that it is an unfair violation of trade agreements. “Our worst nightmare, of the impact of Canada’s trade barriers, appears to be unfolding. We need to fight on behalf of our dairy industry,” said U.S. Sen. Tammy Baldwin, D-Wis., in an interview with the Milwaukee Journal Sentinel. In a recent stop in Wisconsin, President Donald Trump vowed to help the dairy farmers. While empathetic about the plight of the U.S. dairy farmers, the Dairy Processors Association of Canada said they are not to blame. With the May 1 deadline creeping closer and closer, the impacted dairies have no choice but to keep calling on processors and politicians to help save the family farms.